It is this passion that fuels the young couple as they contend with challenges brought by the multi-year drought. While they were able to get through this year, they say they hope Mother Nature provides enough precipitation to satisfy the operation's water needs in seasons to come. "The best thing I can do is plan for the worst and hope for the best. I'm hoping that it is a wet year and that we'll start getting some district water next year to help out our aquifer," Tim Holtermann said. "As far as planning for the worst: If it remains dry and we start losing our water wells from either the water table going too deep or just having mechanical issues, we'll have to let our older orchards dry up and remove them to keep the younger, newer orchards in production." This year's almonds have been harvested on the family ranch. he said smaller-than-average-sized nuts on the trees likely resulted from the farm having to provide shorter water supplies to some orchards, to save almond trees during the drought. "The biggest thing we had to do is deficit-irrigate all of our orchards to keep them alive. We anticipate that will also affect next year's crop as far as overall production," he said. "At this point, we'd rather have all of the orchards alive and a lighter crop than have to abandon an orchard." Jenny Holtermann, who grew up on her family almond and walnut farm in Chico doing tasks from checking irrigation valves to training young trees, said she strives to be an advocate for agriculture through social media. "I've become more involved in advocacy and communicating to folks that farmers really need to tell our stories more, so that the public knows what actually happens on a farm," said Jenny Holtermann, whose blog, titled "You Say All-mend, I Say Am-end," includes posts about how she and fellow farmers are affected by the drought. "I know people who have blogs and I see how influential they are and I said, 'I'm just going to do this.'" 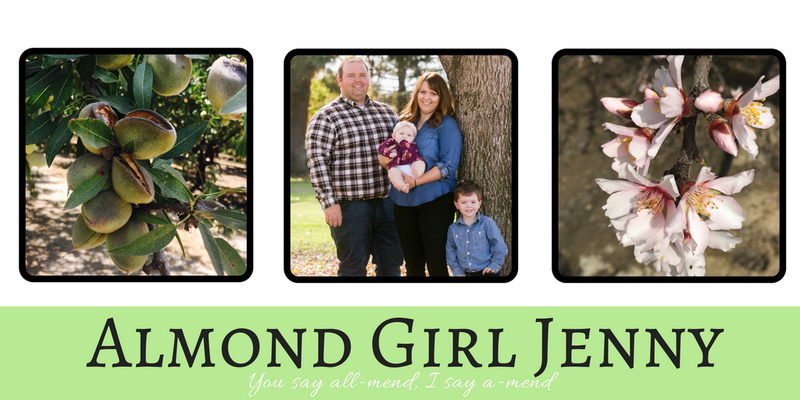 Jenny Holtermann started her blog less than a year ago and she also posts on social media under the handle "@almondgirl," where she describes life on the farm. Her blog includes passages on topics such as the falling groundwater table, harvest and the process of almond hulling and shelling. She also posts recipes and informs readers of the nutritional benefits of almonds. "Nowadays, everyone communicates through social media. If you want to hear the latest news and if you want to hear about what is going on, it is all on social media," Jenny Holtermann said. "Through social media, we need to educate people that we are in a drought and how important it is to conserve water. People really don't know how dependent they are on California agriculture, so by educating people, I hope it helps." 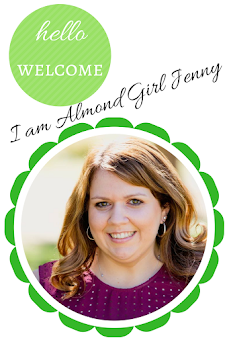 Aside from her social media work, Jenny is a director for the Kern County Farm Bureau, a member of the California Farm Bureau Federation Young Farmers and Ranchers State Committee, and participates in California Women for Agriculture. She is involved in these organizations while also working as a sales specialist for Bayer CropScience Vegetable Seeds. Where does she find time to be involved in these various organizations? Jenny said, "I am passionate about agriculture; it is my livelihood." "I feel like I need to stay informed and involved in the agriculture community to be able to make sure that agriculture has a future," said Jenny Holtermann, who is expecting the couple's first child. "Especially with our little almond farmer due to arrive in a couple months, I want my children to be able to have the option to return home and farm. By telling our story, I hope to educate others and put a face to the food that is being grown." Jenny and Tim met while working at the university farm while attending Cal Poly San Luis Obispo, where they each earned agricultural business degrees. Shortly after graduating, the couple married and moved to Wasco. It was during this time that Jenny helped reinvigorate the Kern County Farm Bureau YF&R program. "After marrying Tim, I came to Kern County not really knowing very many people, so I looked up the Young Farmers and Ranchers program and it was inactive, so I helped to revitalize it," Jenny Holtermann said. "It was a good time, since we had a lot of friends from Cal Poly that had come back to the area." 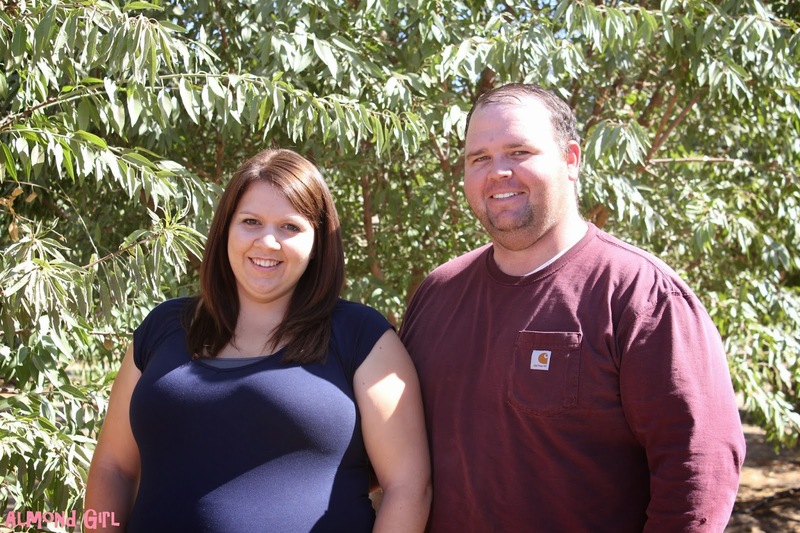 The Holtermanns described the YF&R program as helpful, especially during challenging times, because it provides a group of fellow young farmers who offer support. "Through YF&R, we have a lot of friends who have the same type of problems. So the best we can do is support each other emotionally, because there is really not a whole lot we can do about the water situation," Tim Holtermann said. "They are able to say, 'We have the same problem; you are not alone.'"